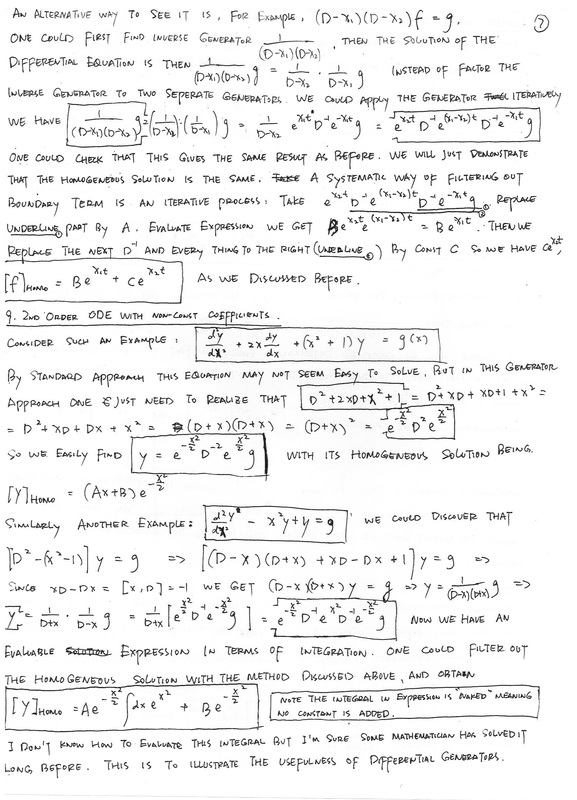 Over the past two years I have gradually developed a very effective technique to solve ordinary differential equations. 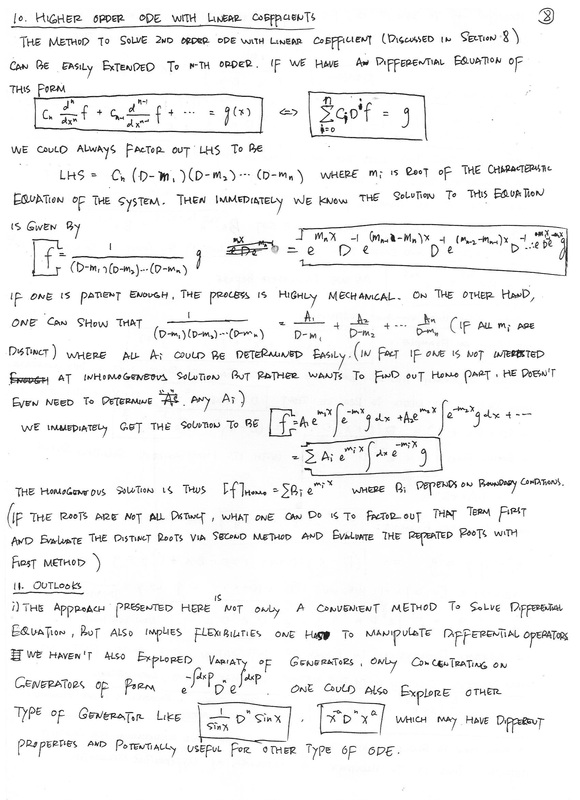 It may not be rigorous mathematically, in fact when I showed it to a mathematics professor he was absolutely freaked out, but it works, and that’s all that matters to a physics student. 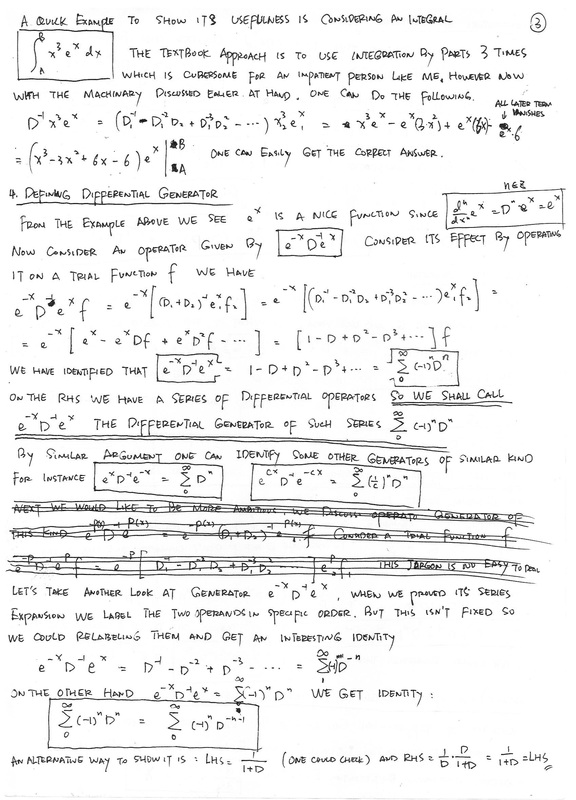 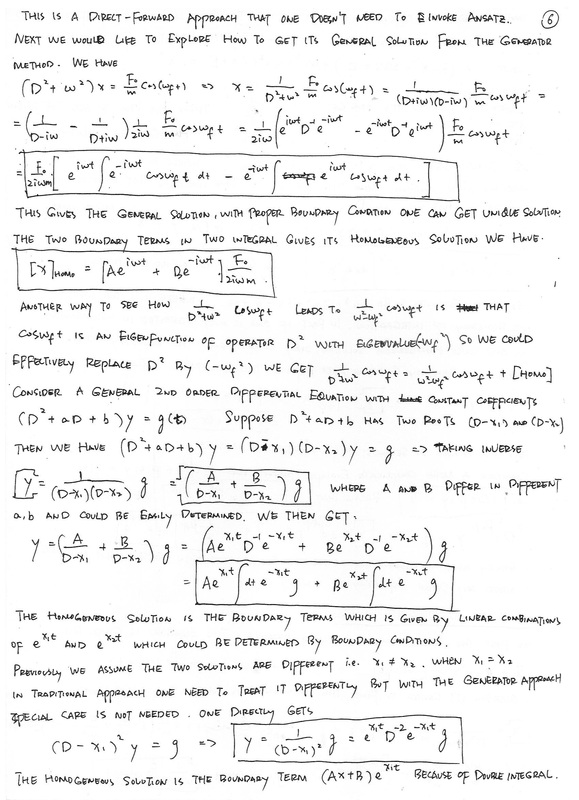 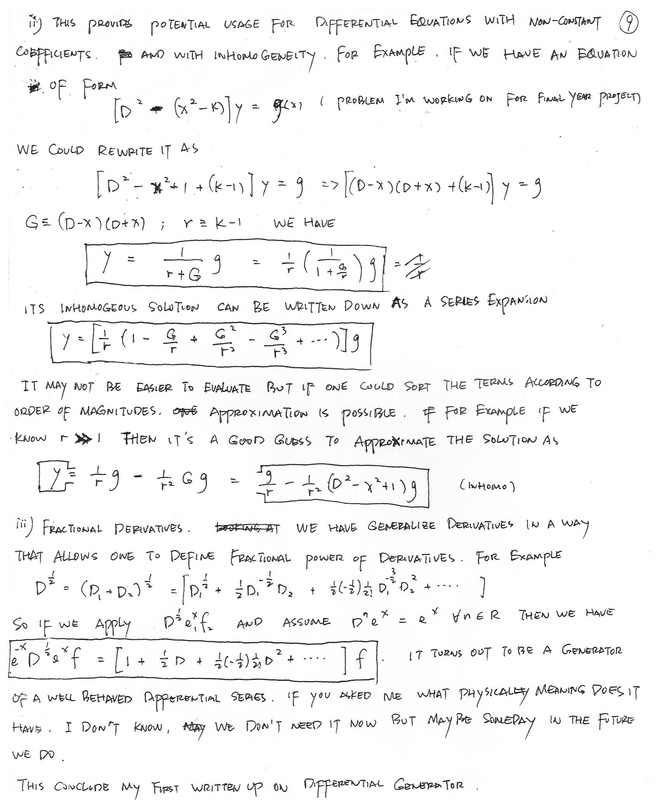 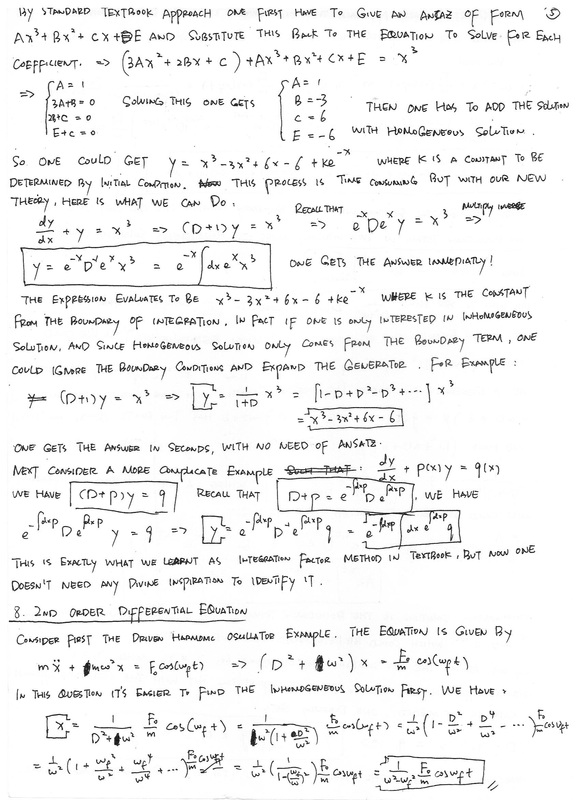 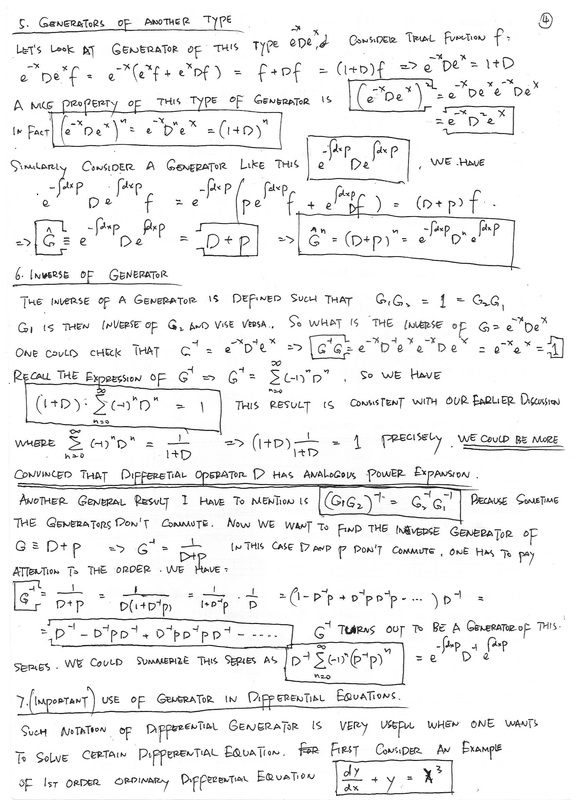 I called it a theory of differential generator, and here is a rather long summary of it.